Durable dog lead by Red Dingo in sunny White Spots on Yellow. Strong, comfortable and stylish. 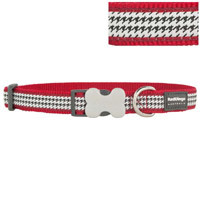 Red Dingo dog leads are made from high density fray proof tough woven nylon for durability and reduced wear and tear. 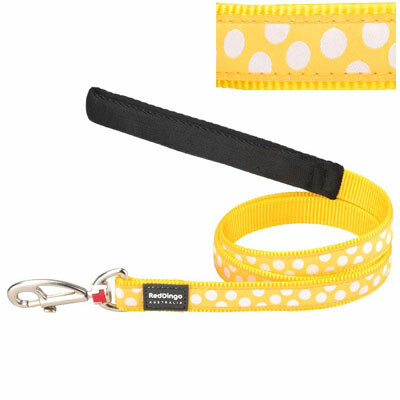 The padded handle ensures maximum comfort for dog walkers.